"Try out Windows 8 for 90 days with this evaluation copy of the operating system created by Microsoft." Try out Microsoft's newest operating system, Windows 8.1, by downloading this evaluation version of the operating system that will enable you to use the OS for 90 days so you can try it out before you buy it. This gives you three months with Windows 8.1 for absolutely free just so you can trial out the operating system to see if it is worth buying for you. Interestingly enough, most people don't realize they can try out Windows, but Microsoft has been doing this for a while now with their operating systems. 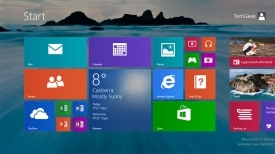 With Windows 8, Microsoft brings you an array of new features that sets it aside from its previous releases that makes it unique. 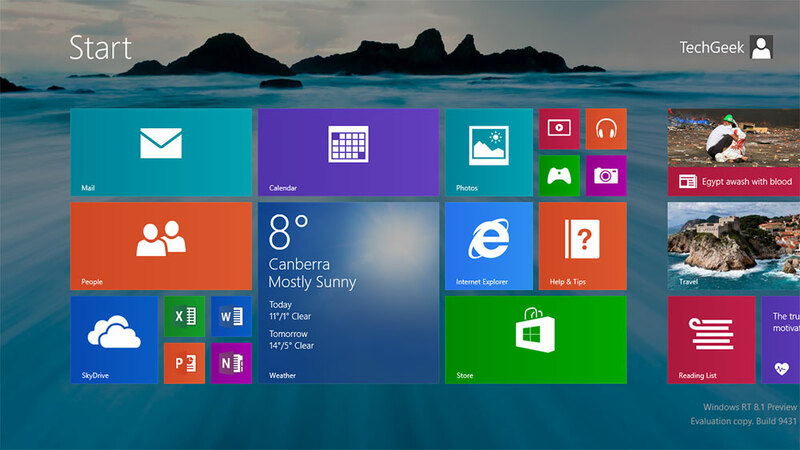 With a lot of changes, some of the most notable is the new start menu sporting out Microsoft's new "Modern UI" (previously known as Metro UI) which utilizes a simple tile interface to easily find all of your content from one screen while giving you simplicity and organization of your content and applications. The new start menu interface doesn't rid of the desktop interface, as it is still available from with in the Modern UI and will still more than likely be your primary mode of using Windows 8.1 unless you have a tablet personal computer. With the release of Windows 8, we have seen a sharp increase of touch screen laptops that have extended the amount of things we can now do on our PCs, including better writing and drawing capabilities without needing a touch pad. If you were able to run Windows Vista or Windows 7 on your PC, you can also run Windows 8 on your PC since Microsoft has kept their same recommended specifications for the operating system since the release of Windows Vista.